When working with PDFs, sometimes it’s necessary to reduce their file size so they can be uploaded somewhere or sent over e-mail. There are many on-line services that can do that, but there are privacy concerns when using those, since PDFs can often contain sensitive data. Adobe announced its new Document Cloud service a few weeks ago including new iOS apps for handling documents on-the-go. 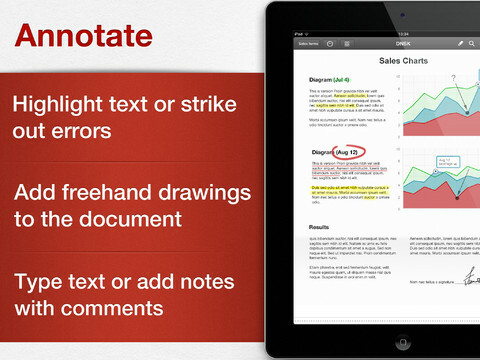 Described as the digital document hub, Adobe’s Document Cloud includes integration with new apps for iPhone and iPad. Adobe Fill & Sign for iPad is out now with integration with new Adobe Acrobat DC app allowing you to complete PDF forms right down to your signature from your iPad. Adobe EchoSign for both iPhone and iPad is now Adobe eSign Manager DC as it now integrates with the Document Cloud service. At the center of the mobile experience is the previously mentioned Adobe Acrobat DC for both iPhone and iPad. Formerly Adobe Reader, the new Adobe Acrobat DC app is the company’s PDF management app showcasing the new Document Cloud service. The new and updated apps are available now on the App Store and come included with an Adobe Document Cloud subscription which starts at $14.99/month after a 30-day free trial. Full Adobe Creative Cloud members can also access Document Cloud through Adobe Acrobat DC at no additional charge. Readdle has updated its popular iPad document storing and annotating app, PDF Expert, with several new features for annotating. I’ve been using PDF Expert for a while, and it is truly a powerful, easy-to-use solution for managing PDFs. Today’s update is free, but the app costs $9.99 on the App Store. There is a separate iPhone version as well for the same price.